Ingredients for Social Change A multi-disciplinary Community-Based Research project gave Washington and Lee University students a chance to help local organizations take a closer look at access to affordable healthy food. 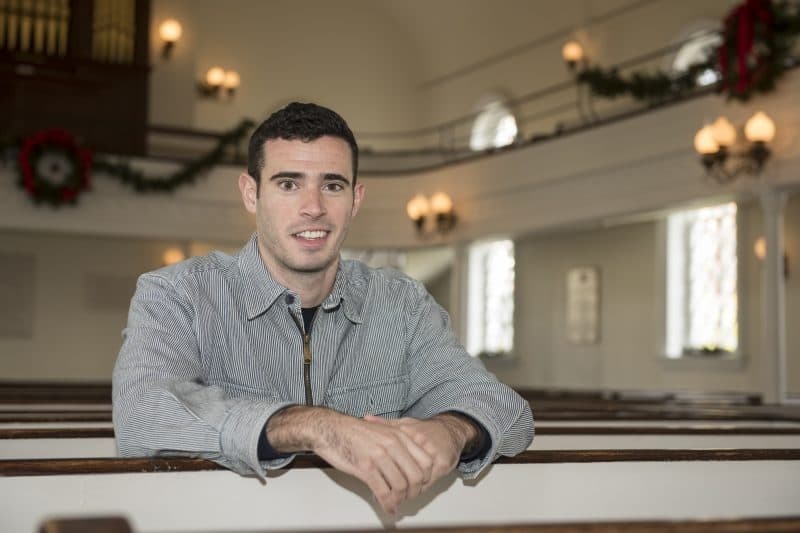 As Kyle Singerman ’17 drove the rural roads of Rockbridge County during Fall Term 2016, he began to understand a fact that had never occurred to him when he was growing up in the suburbs of Cleveland. While conducting research for a Washington and Lee University biology class, Singerman had experienced the concept of a “food desert,” or a geographic area that is devoid of healthy food options, such as fresh produce and unprocessed meats. It is the kind of lesson that can be taught in a classroom but is more vividly understood when students venture out for hands-on projects. 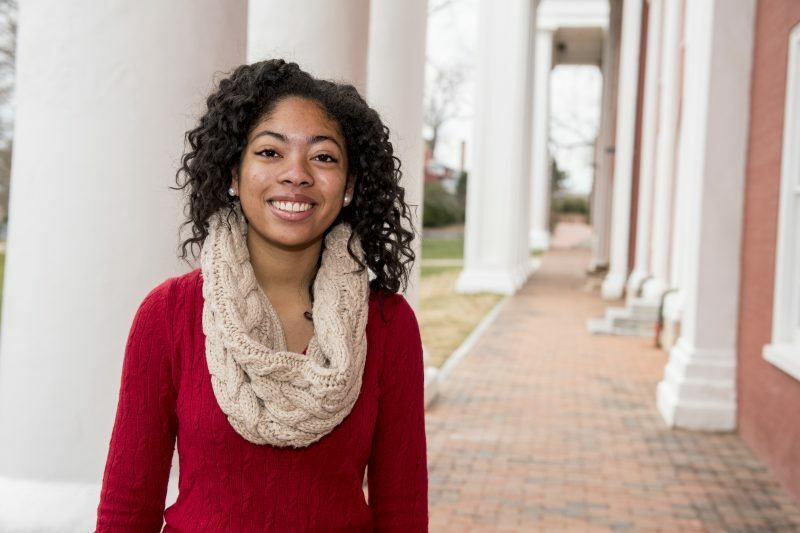 Singerman is one of many W&L students who have, since Spring Term 2016, been participating in a Community-Based Research project through the university’s Shepherd Program — specifically, through the Community-Academic Research Alliance, which pairs W&L students with non-profit organizations that need help addressing community needs. Students in politics, biology and economics classes have participated in three phases of the project, working with the Virginia Cooperative Extension and Live Healthy Rockbridge Kids to assess food sources in the community, map them, and crunch the data for use in future initiatives. Live Healthy Rockbridge Kids, which is housed at Rockbridge Area Community Services, is a coalition funded by Virginia Foundation for Healthy Youth with the goal of preventing and reducing childhood obesity in Virginia by improving access to healthy foods and increasing opportunities for physical activity. The idea for the project came up when LePere and Rebecca Wilder, a Virginia Cooperative Extension agent and a partner in the coalition, were working on a grant application for continued funding from the Virginia Foundation for Healthy Youth. “We felt that we did not know enough about the food landscape to design any project to change it,” LePere said. So, they wrote a food source-mapping project into the application. Then, they connected with Alessandra Del Conte Dickovick in W&L’s Shepherd Program. “Alessandra has been great in getting folks to help us with this project,” Wilder said. In the first project phase, students in Rebecca Harris’ Spring Term class, Food Politics, created a list of all the businesses in the Rockbridge County area that sell food, including grocery stores, convenience stores, dollar stores, restaurants, farmers markets and food pantries. The class then mapped the locations, which allowed Wilder and LePere to confirm that most of those resources are clustered in Lexington and Buena Vista, leaving rural areas of Rockbridge County with few sources for nutritious food. The second phase of the project focused on collecting more in-depth, qualitative data at grocery stores, convenience stores and dollar stores to get a more detailed look at food access. Singerman and Tyra Barrett ’18, both students in Sarah Blythe’s Fall Term class, Food for Thought, divided the list and visited each location in person. Between the two of them, they visited close to 60 stores. With business owners’ consent, the students filled out a one-page survey at each location that evaluated inventory and prices. The form, based on the U.S. Department of Agriculture’s MyPlate nutrition guide, was developed by researchers at Virginia Tech in collaboration with LePere and Wilder. It allowed them to record the availability of products like fresh fruit, vegetables, lean meats, low-fat dairy products and whole-grain foods. They also documented prices whenever possible. “The second question we want to try to answer is if it is available, can you actually afford it?” LePere said. To that end, Jonah Mackay ’17, an economics major and poverty studies minor, will do additional analysis using that pricing information. He will determine how much it would cost to purchase a predetermined selection of products, or a “market basket,” in different parts of Rockbridge County. That will help researchers drill down to locations in the county that score lowest in terms of affordable access to healthy food. Mackay plans to wrap up his work by the end of Spring Term. Virginia Tech will work with Wilder and LePere to establish a rating system for the stores that were surveyed. The purpose of this system and the other resulting data is not to publicly broadcast where stores fell on the spectrum, but to use the information to inform the need for additional programs and actions. For example, Wilder would like to help some store owners determine whether they can stock more nutritious items — low-salt canned beans instead of the standard version, for example — without losing sales. She recognizes that store owners cannot stock a product that does not interest buyers. Other resources include shelf signage to educates shoppers about the benefits of healthy foods, or exterior signage that promotes fresh produce instead of alcohol and cigarettes. LePere will focus more on community awareness and education, which is why she had Barrett and Singerman work on social media for her organization and develop a pamphlet for consumers. As is the case with all Community-Based Research projects set up through the Shepherd Program, the food desert collaboration has been beneficial for all parties involved. In this case, community partners saved considerable time and resources, and the students came away with a different outlook on food.